Goodrich Silvertown tires are iconic among antique vehicle collectors. 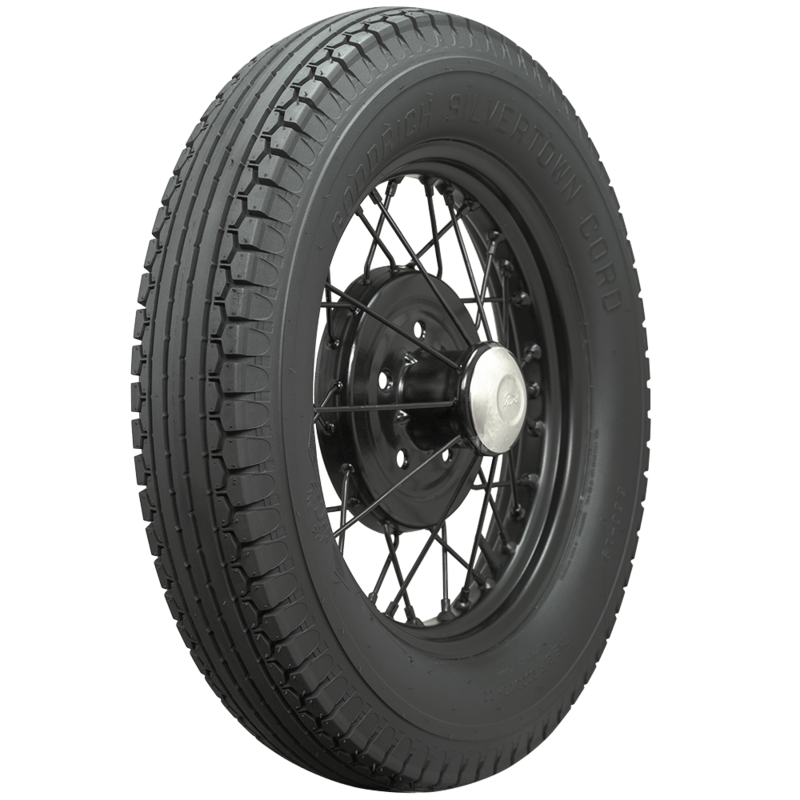 The Goodrich Silvertown Cord tires are an outstanding fitment for antique automobiles with 18- to 24-inch wheels. 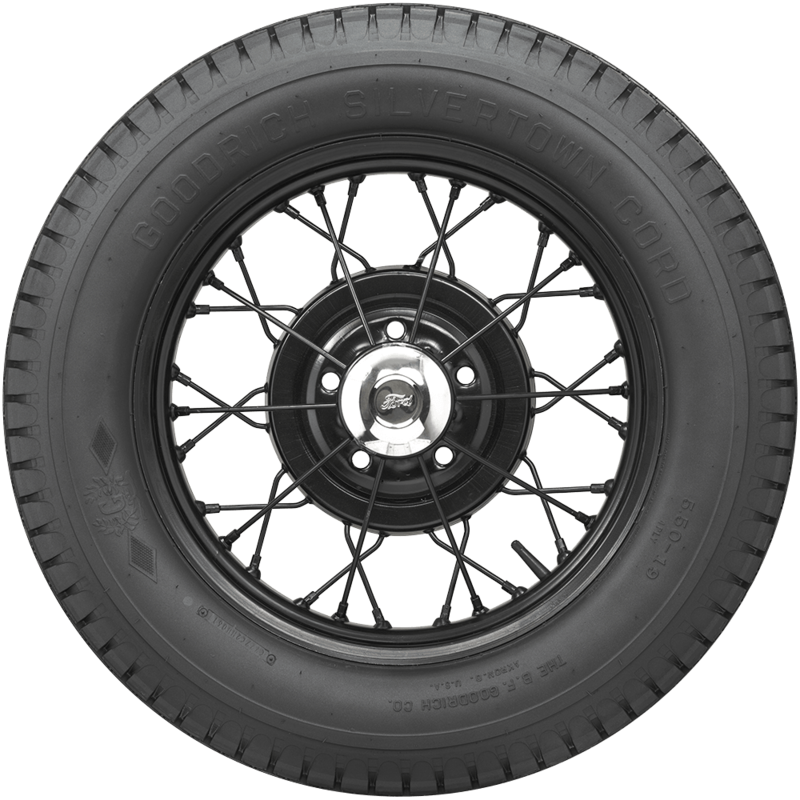 These tires are also available in fabulous whitewall styling. 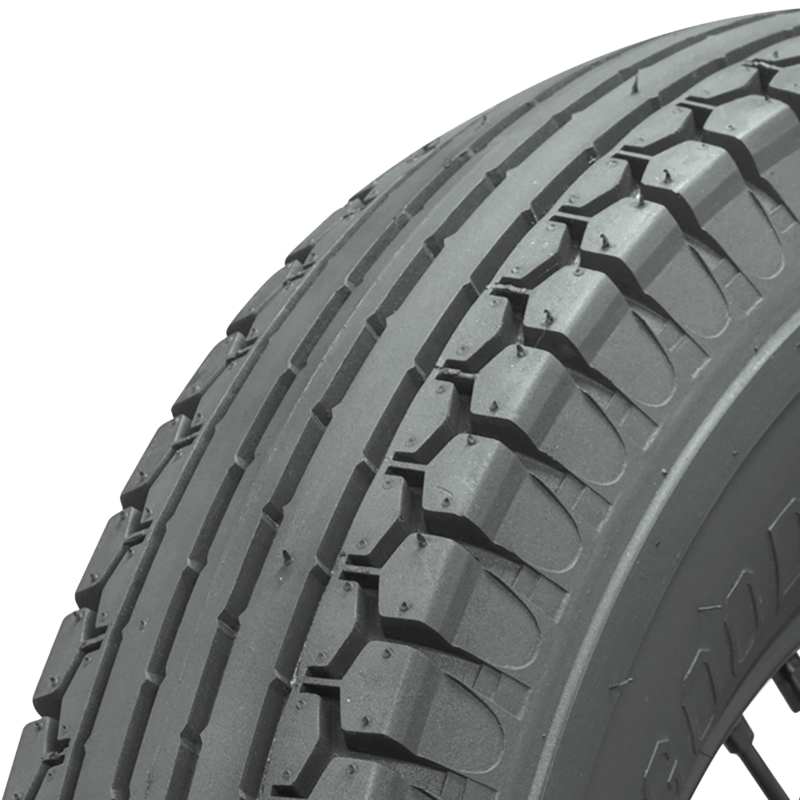 These tires feature premium construction materials and authentic sidewall and tread designs. These tire are hand built in the USA for exceptional quality. Coker Tire Company is the world's leading supplier of tires and wheels for old car restoration projects. Our selection of 475/500-19 sized tires is available here. 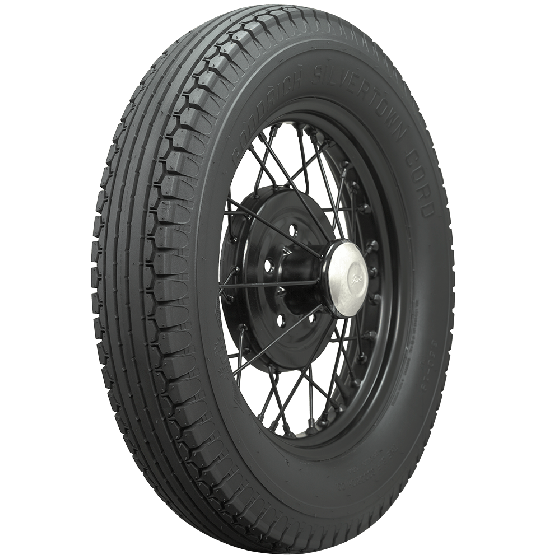 i have a 1929 chevy 2 door sedan the tire is a goodyear 4.5/4.75/5.00-20 on the tire which tire would work for a replacement and what size tube ? The recommended replacement tires are listed here. See "Similar and related products" on either tire page for recommended tubes. I have a set of 5 tires here and need good tubes for them. Center stem, tires are 5.25 X 21. What do you suggest? Click Here for the most common tube we sell for that size!